Does an HOA need a management company, or can it avoid the cost and go with self-management? If you are asking this question, it’s likely your organization is looking to reduce costs. However, the truth is an HOA without a management company will find that it is difficult to thrive and communities can head downhill as a direct result. With the right management company, your HOA will be able to achieve much more than cost-savings. Keep reading to consider all the benefits the right company can provide for your community. What Are the Risks of Self-Managed HOAs? Perhaps the best place to start is by taking a closer look at what happens when an HOA tries to self-manage its organization and services. The risks can be significant. There’s a consistent problem when it comes to lack of volunteers. Volunteers are unpaid and they give up their own time to help. Even in the most dedicated neighborhoods, this becomes a major issue. The infrastructure is simply too big to manage on a volunteer-basis and becomes burdensome. It’s more than a full-time job to manage an organization like this. Tennis courts, pools, private roads, and much more must be professionally managed to ensure proper maintenance and upkeep. Another common issue self-managed HOAs experience is a lack of consistency in governing. When volunteers are behind the laws, covenant support, and enforcement there’s a risk that claims of favoritism and unfair treatment can arise. Because of discontent, there can be an increased risk of lawsuits, claims against the HOA, and poor management of funds. Without proper management by professionals, it is quite common for HOAs to fail to comply with state, federal, and local laws. The last thing you want to happen to your HOA is to get a bad reputation. Lack of communication, limited ability to manage funds, and claims of poor treatment can lead to a negative presence in the community, which can hurt property values and limit your community’s success. These are very real risks that many HOAs face on a regular basis because they elected to go without an HOA property management company. Does every HOA need a management company? The short answer to this is yes. In order to succeed, you need expert level support for your community. It can help your organization to remain valuable and to ensure each resident’s needs are met. Ultimately, an HOA community must be a place that not just current residents want to live in, but a place that is desirable to the community as a whole. With the help of a professional association management company, it is possible to see improvements, upgrades, renovations, and new opportunities develop. In short, your organization’s better management of finances and residents can allow for the organization to continue to grow and develop into one of the most desirable communities in the area. This can lead to improved onsite facilities, increased home values, lower overall claims and settlements, and improved quality of life for everyone. 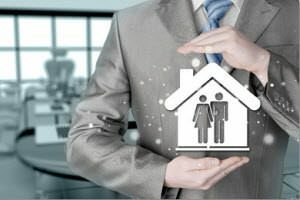 When you need to know the answer to the question, “Does an HOA need a management company?” first ask yourself what you could be losing without it. Contact our team of professionals at Ardent Residential to learn more about the solutions we offer organizations like yours.